cloud | The "Not So Useful Blog!" Backify your entire life in Cloud now! We always need cloud storage, don’t we? Choosing one is something where problems comes. Every cloud storage services are it’s pro and cons. Some has huge storage but no free auto-syncing features (Adrive for example) and some has powerful backup features but then they don’t give you enough space to backup on free account (e.g. DropBox). So here I present you with one solution that gives you, hold your breath, whopping 512GB of free storage and comes with auto backup of folders. Welcome Backify! Setting up a Backify account is quite straight forward. It just requires your full name, email address, and password. Click confirmation message link, you received in email, and your account is created. It also creates a personal sharing URL (you need to log in to see it contents). 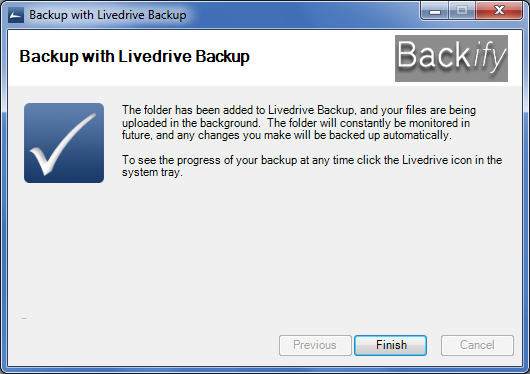 Now after logging into your personal sharing, Backify prompts you to download backup application named Livedrive-Setup.exe (What? Shouldn’t it be Backify-Setup.exe? Well, I’ll come to that later!). As people fear to choose new brand for their data, obviously, some questions may arise. As we know, Backify is not a big brand or something, then how it manage to give 512GB of space for free? 512GB is generally sufficient for most of the people, so what’s exactly we get for paid offering? They could have chosen other storage offerings as well like somewhat decent sounding 500 GB or something, then why exactly 512GB? And why the hell the name of backup software is Livedrive-Setup.exe and not Backify-Setup.exe (Yeah, I haven’t forgotten that.)? Lemme answer these question in somewhat, uhh, random order. Backify has very powerful paid plans at surprisingly low rates. One of the obvious drawbacks you get in free plan is that, you cannot share your files with anybody, you need Briefcase for that (A Livedrive feature, not actually a bag, if you need clarification). You’ll also get unlimited storage, ability to sync files on 2 or more computers, FTP and WebDAV, ability to edit documents anywhere, and some other features. It’s definitely worth considering paid offerings of Backify. Clearly, with reseller account in hand, one can create unlimited user accounts and provide him with full features, and all this comes for mere $59.95 per month. This, also, pretty much answers all the questions (Yeah the name Livedrive-Setup.exe is there because Backify guys are not sophisticated enough to customize it. Big deal, huh!). One final question remains – Will Backify survive and if yes then how? Clearly, Backify don’t count on free users for it’s survival. Looking at it’s pricing plans, it’s quite clear that it just needs 20 people on the lowest plan ($2.99 and full 1 year in advance) to break-even. Any more user or users from higher plan will give them profit. So, let’s think if it gets something like 250 people on average plan (Most-popular one – $4.99 a month if taken for a year in full), it actually makes $1187.55 (Around Rs. 58,451) in profit per month. Quite and healthy business, isn’t it? On all accounts, this service is not only authentic but seems to survive easily. So, rest easy, create an account today and enjoy the cloud storage on whole new level. Before parting, but, let me tell you another cool thing – Backify by no counts is only service that give you 512GB of data for free (after all it’s just a reseller). You can also check BeeCloud offering almost same package (somewhat cheaper though) as Backify. Till we meet in our next post, Happy backing yourself up! Well, you know, we all want to work in browser only these days and what’s better than to have a Unix/Linux shell running inside your browser? Welcome CB.vu! It’s nifty little website that directly opens to a Linux shell. You can start typing your Linux commands right away and see the results. But as it’s being a shell in a cloud (sounds nice, ehh! ), a lots of powerful features of actual shell is stripped off, and you cannot even crate a new directory (which makes me think if this command was allowed, where you’re supposed to make directory?). But to begin with, it’s a nice tool to try some of the shell commands (but scripts as they’re also not supported). Just type man and you’ll find the list of commands with manuals, and I must say they’re the all that’s supported here as well. Generally, if you don’t have any commands doing file/directory changes, you’re good to execute in this shell. My first impression though seems limited, I figured it a useful tool nonetheless. There are still quite a few commands to try and learn and it’s a nice drift off from usual websites. It’s just a pure shell virtualized to your webpage waiting for your actions. Cool isn’t it? My biggest gripe about this website? Well, it can virtualize entire Linux shell and allow us to type in whatever command we want to. Yes I know this will add bloat to server side but handling those will not be much of a issue, is it? Anyway, I want you guys to try your hands on to this website and feel the power (?) of Linux shell. Run your applications without installing them! Yet another day, yet another post. Have you ever wanted to try some application but don’t want to install because of any of the many reasons (being office PC, don’t want to bloat Windows registry, security concerns, etc.)? Many of us have and there is no simple solution to it as well. Many of you people argue that there is portable apps do the same, but then you cannot avoid registry for good or the local storage as a matter of fact, right? Especially if you’re in some organization with strict application use policy, you don’t want to leave any clue that can trace back to you. Also, since application creating companies usually don’t create portable version themselves, chances are that you end up in having malwares with portable applications. So, portable application is neither fool-proof nor that secure which we’d have imagined. What to do here? Now there is a simple solution for this – Welcome the Spoon!! It’s a web app that allows you to run various desktop application without installing it at all. Since all the applications are cloud boosted, there is absolutely no registry or local storage (except if you explicitly create some) made. Spoon makes sure that applications are safe and can be used just by browser and very small, non-nagging plugin. It’s painless process to get started on Spoon. Just head over to it’s website and create an account, which is tad simple even for novice. Now, all you have to do is to install a small plugin for running the app, which being browser plugin doesn’ affect the system in any ways. Now, simply launch the app you’re interested in. Spoon, also stores the name of the apps you’re using in it’s quick launch, from where you can restart your apps fast. Spoon free gives 1GB of free data storage and for anything extra you can always buy it’s premium plans, which also gives you access to premium apps. After creating my account and installing the required plugin, I went to Spoon library. First thing I felt that premium apps are not worth money to spend at least for me, but it’s subjective. Also, I added space is really worth spending for. I simply tried launching Skype app from there, which is quite a resource hog and most of the times just make my system crawl. I’s quite expecting it to be far slower experience for what I saw on desktop, knowing my previous bad experience with app of same genre (read cloud based app). 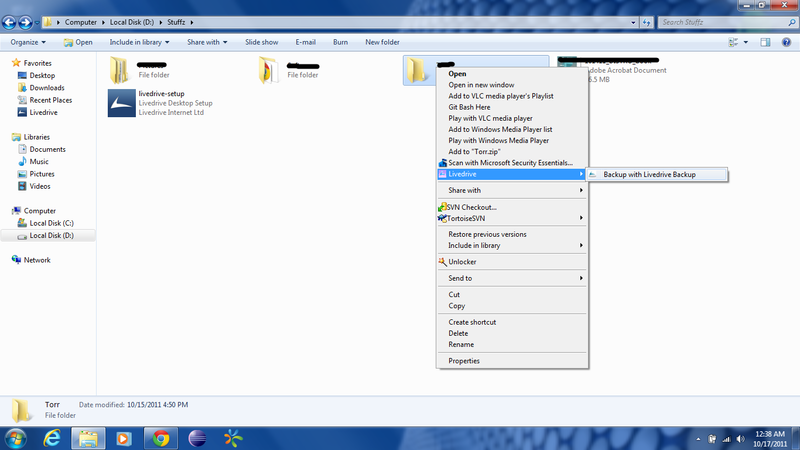 But to my surprise, Skype works really smoothly and there’s almost no visible issues. I can easily log in to it (it’ll auto login you, if you’ve the setting in installed Skype though), and chat or video was quite a good experience. Spoon here, really scores on other web apps trying same solutions. The bottom line is the Spoon is a must try app, at least for some scenarios mentioned earlier. Do try and let me know your experience.